The Market America Scam: Fact or Fiction? Are you struggling with the Market America system? Have you heard about the “Market America Scam” and wondered if you’re the latest victim? Market America is one of the most sophisticated incarnations of multilevel marketing (MLM) currently available. It exploits the traditional, controversial business model most commonly known as the “get-rich-quick” or “pyramid” marketing system. But there’s a twist. Members of the Market America MLM are stepping into the role of an Independent Distributor. It’s important to understand what this role means. Members pay a fee to purchase the right to sell exclusive products, which can range from kitchenware to vitamins and potent herbal tonics. The key to success comes down to proper marketing. One of the hard truths to learn about marketing is that you cannot be successful by only selling to your friends and family. Friends and family are a good place to start, but it is imperative to branch out beyond people you know. The world—the Internet itself—is full of prospects. You must learn how to market to your target audience. Is Market America a scam? No. “Scam” is too heavy of a label for a legitimately founded business, which is what Market American is. The MLM is not a scam, but if not marketed properly results will be minimal; thus inferring the idea to some that it could be a scam. Successful Avon representatives often started out by selling to and recruiting family, friends and coworkers. They branched out to service their neighborhoods and local community. The most successful reps learned how to professionally market the products and program they represented. 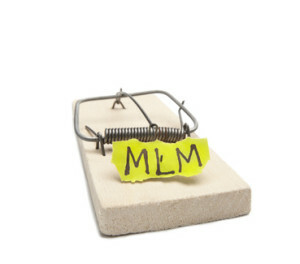 Marketing a MLM program does present challenges. Recruiting can be difficult because many people hold a negative impression of multilevel programs, believing they are scams by nature. The best MLM programs sell products more than opportunities. Market America fits this description. Their line of products gives members the ability to invest in, market, sell, and generate earnings. Knowledge of marketing is vital. Selling products is like dabbling in the retail business. The demand for product is directly driven by marketing. If a MLM system is populated by knowledgeable marketers who understand how to promote and create product demand, the system will be very successful for everyone involved. If members only market to their friends and family, and lack the knowhow to expand and create a demand, the system will be far less effective. How can you best use, or prepare to use, a MLM system? Experienced and successful entrepreneurs point to commission generated by acquisitions as their biggest source of income. MLM type businesses are one key to their success. The ultimate key to using any MLM system is learning how to both recruit and market the opportunity and product. Network marketing training. This training is focused on MLMs. It offers high quality training. While the training is a solid investment, it is pricey. 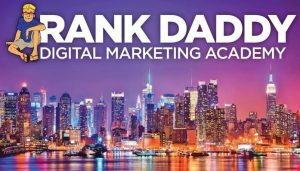 High quality Internet marketing training. Although this type of marketing training is not designed specifically for MLMs, it can be easily adapted and is free. The “Market America Scam” is fiction. The fact is this multilevel marketing program offers real commission earning potential. The key to success is learning how to best market both the opportunity and products.